Almost all people have a romantic yearning for cotton castle, and this yearning almost all comes from that touch of blue and white. In the cloudy world, the cold wind blows away everyone's expectations, and I feel a different surprise facing the broad plain under the cliff. 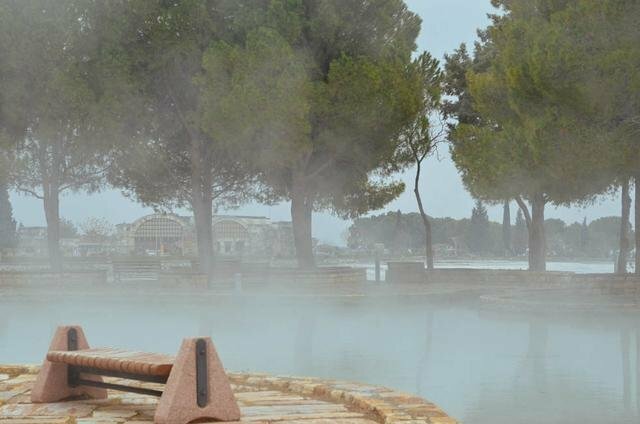 Located in the north of Deniziri, Turkey, it is a well-known hot spring resort. 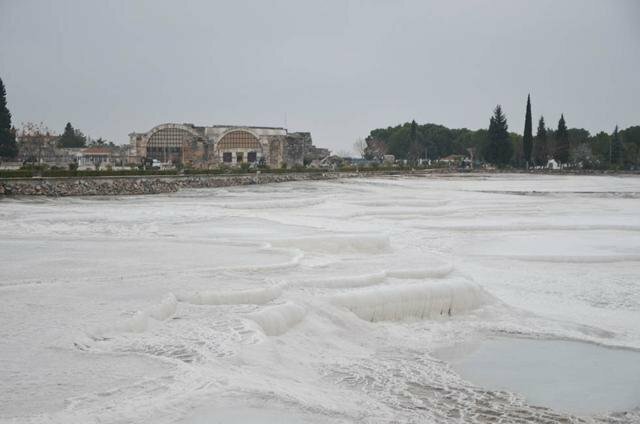 It not only has thousands of natural hot springs, but also has such strange cotton-like hills. 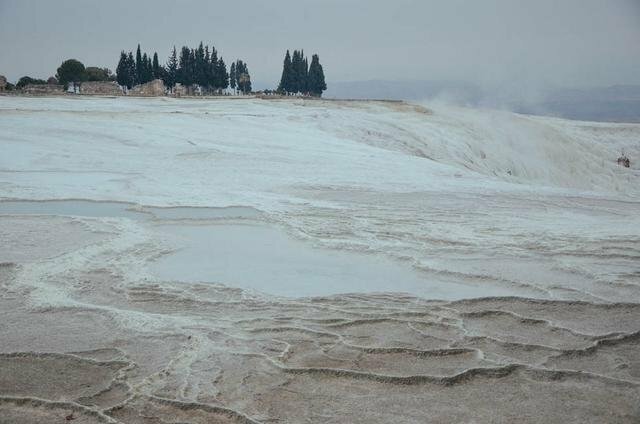 Pamuk in Turkish means cotton, Kale means castle, so Pamukkale is called cotton castle.